i Click 'view all' to instantly compare this fantastic deal with offers on other top sewing machines. 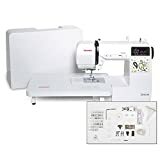 Brother Serger, 1034DX, 3 or 4 Thread Serger w/ Differential Feed is currently selling at $179.98, approximately $14.95 lower than average, giving a potential saving of $49.53 right now. With a lowest price of $179.98 and an average of $194.93 it is selling on the low end of its usual range. Price volatility is 1.19% (meaning it does not change often), so the price should stay low for a while. Right now this product is a recommended 'fantastic deal'. The current deal is also the best price on this item over the last month. 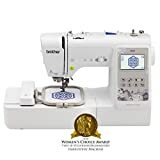 Compare the current price, savings (in dollars & percent) and Buy Ratings for the top Sewing Machines that are closely related to Brother Serger, 1034DX, 3 or 4 Thread Serger w/ Differential Feed. Here is how Brother Serger, 1034DX, 3 or 4 Thread Serger w/ Differential Feed compares with other leading Sewing Machines. 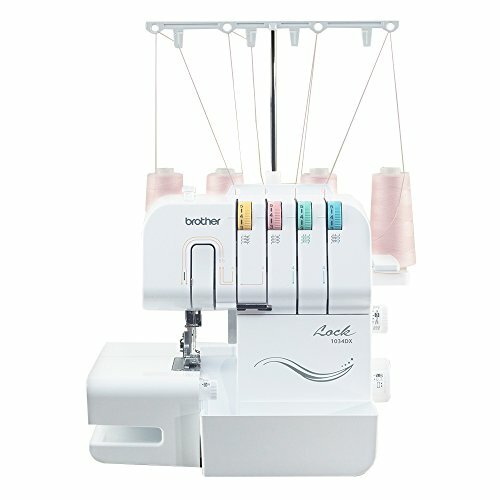 For those who are searching for a diverse serger with multiple thread options, the Brother 1034DX is an affordable choice. 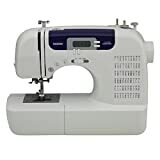 Perfect for finishing, home décor, and creative fashion sewing, the 1034DX allows you to expand your creative options while getting more serging done faster – with sewing speeds of up to 1,300 stitches per minute. This 3/4 serger works exceptionally with either three or four threads. In addition to finishing edges and hems on a wide range of fabrics, this serger allows you to easily create decorative edges and gathers or ruffles and use decorative threads for customized details. The conveniently placed color-coded guides printed on the machine show you exactly where to place each thread for trouble-free threading. Plus, the addition of a stitch width adjustment dial allows you to change your stitch width between 5.0mm (3/16 inch) and 7.0mm (9/32 inch). Adjusting the stitch width lets you create serged seam finishes that lie flat, especially on lightweight fabrics. For added convenience, the trim trap collects the fabric trim as the serger knife trims and serges your project and can be easily detached from the serger. Also, the trim trap can conveniently store your foot controller when it’s not in use. The Brother 1034DX Serger comes with everything you need to get started right in the box, including 2 snap-on feet, a foot controller, a soft cover, needles, four mini spools of serger thread, an instructional DVD, and an instruction manual in English and Spanish. This product is backed by a 25-year limited warranty with free technical phone support for the life of the product. FeaturesPERFECT FOR MULTIPLE PROJECTS: The Brother 3/4 Serger lets you to expand your options for finishing, home décor, creative fashion sewing, and more.3 or 4 THREAD CAPABILITY: This serger works great with either 3 or 4 threads for added flexibility for overlock seam or overlock stitching projects.UP TO 1,300 STITCHES PER MINUTE: Get more serging done faster with the ability to sew up to 1,300 stitches per minute.COLOR-CODED THREADING: The Brother 1034DX Serger includes color-coded guides printed on the machine to show you where to place each thread.